Bajirao Mastani is a 2015 historical and romantic Bollywood movie, directed by Sanjay Leela Bhansali. The movie is produced by Kishore Lulla under Bhansali and Eros International. In the lead roles are Ranveer Singh, Deepika Padukone, and Priyanka Chopra. The supporting cast includes Tanvi Azmi, Vaibhav Tatwawadi and Milind Soman. Prakash R. Kapadia has provided the Screenplay, while Sanjay Leela Bhansali has provided the Music. Below in this article, you can find the details about Bajirao Mastani Full Movie Download and where to Watch Bajirao Mastani Online. Maratha King Chatrapathi Shahu (18th Century) plans to appoint the new Peshwa (Prime Minister). Shripad Rao and the young Bajirao (Ranveer Singh) are the contenders for this new post. Accepting the Challenge from Shripadrao, Bajirao splits a peacock feather with an arrow, which signifies the spiritual and battle knowledge of Bajirao. Bajirao is then appointed as the new Peshwa of Maratha Kingdom. Lead by Bajirao, the Marathas fight 41 major battles without losing a single one of them. But this movie is not just about those wars and Battles, but the love between Bajirao and his second wife Mastani (Deepika Padukone), a Rajput Princess from Bundelkhand. Rajput Princess Mastani travels to Sironj (Madhya Pradesh) from Bundelkhand (Uttar Pradesh) for on a diplomatic cause. A group of invaders attacks them, then Mastani meets Bajirao in his tent and requests for Help. Impressed by her knowledge and battle skills, Bajirao and his army assist her to defeat the invaders. Mastani is the daughter of the Rajput King from Bundelkhand Chhatrasal and his Persian Muslim consort, Ruhani Begum. Chhatrasal is very happy and requests Bajirao to spend Holi with his family. Then Bajirao falls in love with Mastani and gives his dagger to her, without knowing that it is an act of marriage in Rajputs. He then departs to Pune from Bundelkhand. Meanwhile, a new palace called Shaniwarwada is built for Peshwas in Pune. Upon return, Bajirao’s first wife Kashibai (Priyanka Chopra) takes him to Ayina Mahal. Ayina Mahal is one of the important parts of the Palace enables her to see Bajirao from her room. Mastani arrives in Pune to pursue her love but is ill-treated by Bajirao’s mother Radhabai. She tolerates the insult and takes up the job of Royal Dancer so that she can appear before Bajirao. Mastani meets the King Chatrapathi Sahu, informs about her love and seeks permission to marry Bajirao. She then leaves to a Riverbed and waits for Bajirao in a storm. Bajirao meets Mastani in the storm and tells her that he is already married and his court will not accept her. She agrees to that, as she wants to be with Bajirao very much, they get married and Bajirao announces Mastani as his second wife. Meanwhile, Marathas plan to Attack Delhi Rulers, the Moghuls. But they have to ensure that there is no disturbance from the Nijams during the attack. Bajirao travels to Hyderabad and defeats the Nijam ruler Qamar ud-Din Khan. Upon Bajirao’s return to Pune, Pregnant Kashibai sees Bajirao embracing Mastani (who is also expecting) in the Ayina Mahal and leaves to her mother’s place. Kashibai later returns to the palace among a huge celebration with her newborn son Raghunath. Mastani also gives birth to her Son Krishnarao. But the Preist Krishna Bhatt refuses to conduct the naming ceremony of Krishnarao siting he is not legitimate. An angered Bajirao renames his son as Shamsher Bahadur. Years later Kashibai’s eldest Son Nana Saheb BalajiBaji Rao returns from Satara. He hates Mastani for disturbing his mother’s marriage. Radhabhai and Chimaji Appa (Bajirao’s brother) plans to kill Mastani and her son during Bajirao’s travel for a war. A Brahmin Priest reveals this plan to Kashibai, who then informs this to Bajirao. Bajirao thwarts the plan and builds Mastani Mahal for the safety of Mastani and her son. he then starts to live in Mastani Mahal. He is also heartbroken by the cowardliness of his mother and his brother. Bajirao is asked by the King to defeat Nijam’s vengeful son Nasir Jung. Bajirao informs that in spite of this love for Mastani, his first priority is his Job as Peshwa. Before leaving for the battle, He meets Kashibai against the tradition (Wife comes out and sends Peshwa to Battle). Keshabai tells Bajirao that she is heart is broken like Rukhmini and orders him never enter her place. Bajirao agrees to that and leaves to the battle. Meanwhile, when Bajirao is away fighting the battle, Radhabai and Nana Saheb imprison Mastani and her son Shamsher Bahadur. Knowing this, an enraged Bajirao defeats Nasir Jung and collapses due to his injuries. At his deathbed, Kashibai sends a letter to Radhabai to release Mastani and her son. Nana Saheb burns the letter and frees only her son. Bajirao then dies hallucinating due to his injuries and at the same time, Mastani dies in Captivity. The Movie ends with the scenes of Bajirao and Mastani united after their death. Bajirao Mastani is one of the most popular movies of Ranveer Singh and Deepika. Also, you might be looking for Bajirao Mastani Full Movie download. But we encourage you to watch or download Bajirao Mastani movie online on a legal streaming website. 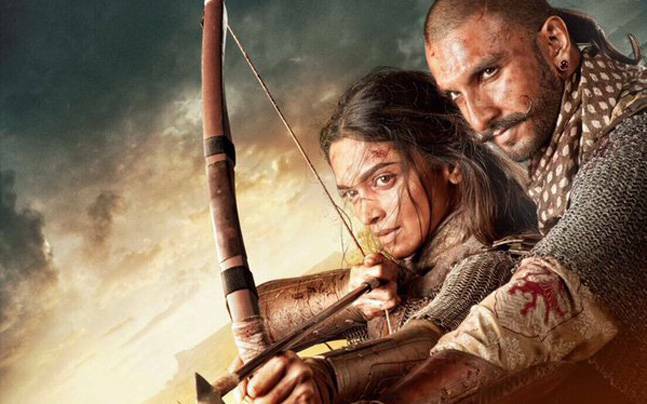 Where to Watch Bajirao Mastani Movie Online? Bajirao Mastani is available on legal streaming websites. Some are for free, whereas some are there to watch on monthly subscription streaming websites. If you just want to pay for Bajirao Mastani movie, you have an option to buy or rent Bajirao Mastani movie online. Free Streaming websites: Yes, Bajirao Mastani is available for free on legal streaming websites. Monthly Subscription: You can also watch Bajirao Matani on Monthly Subscription legal streaming websites. Currently, Bajirao Mastani is not available on Netflix, but is expected anytime soon. Rent or Buy Movies: If you would like torent Bajirao Mastani movie for cheap then there are several ways to do that. Eros International is the official distributor and production house for Bajirao Mastani. Also, all the copyright owner is with Eros International. Whereas, illegal websites mentioned below are providing Bajirao Mastani through Torrent, which is considered a crime as per Indian Copyright law. Hence, we request you not to go for Bajirao Mastani Full Movie download from these websites.